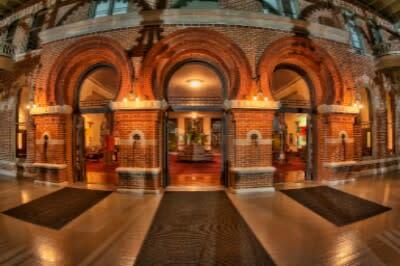 Enjoy an evening of choreography at the University of Tampa’s Dance Happening this Friday. A variety of genres and styles will be highlighted during the student performed showcase. The event is free to the public but it’s recommended that you arrive early for the best seats. 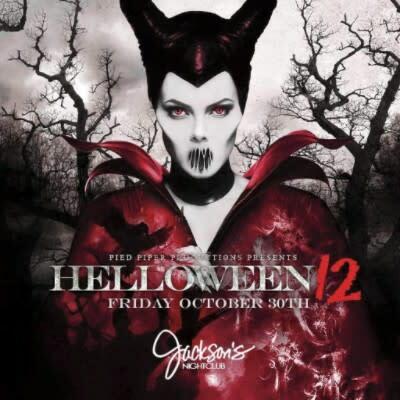 Kick off your Halloween festivities during Helloween 12 at Jackson’s Bistro Bar and Sushi. Be sure to dress to impress if you want to win the $5,000 prize for the costume contest. With three areas of DJ dancing, this party is sure to be an awesome time. 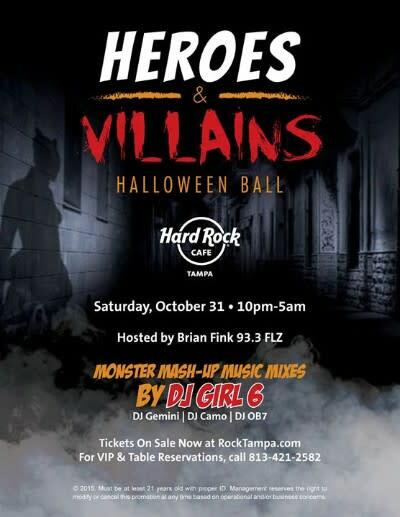 Spend Halloween night at Tampa’s largest Halloween party, Heroes and Villains, at the Seminole Hard Rock Hotel & Casino. Hosted by radio station 93.3 FLZ’s Brian Fink, this event features stilt walkers, a comic figure dance team and music by Las Vegas’s top female DJ Girl 6. 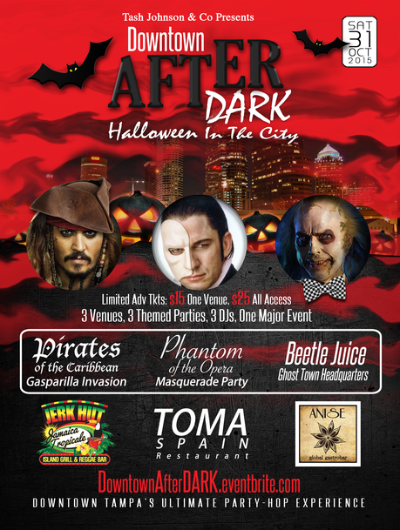 Party-hop through the streets of downtown at Downtown After Dark: Halloween In The City. This massive party will be held across three different venues, Anise Global Gastrobar, Spain Restaurant & Toma Bar, as well as The Jerk Hut Rhum Bar. With multiple DJs, contests and signature themed drink specials, this event is anticipated to be an unforgettable experience. Recover from your Halloween festivities during Straz Live! In the Park at the Curtis Hixon Waterfront Park. This afternoon of music features popular Broadway tunes and arias sung by the Opera Tampa Singers. The event is free and includes food trucks and award-winning local visual artists.